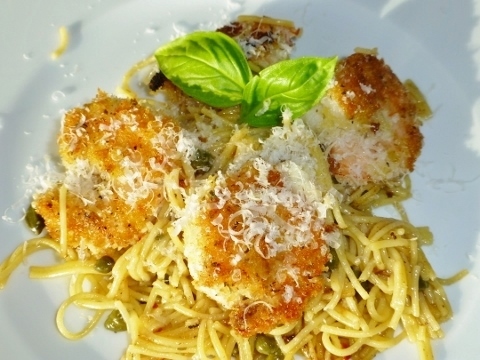 Crunchy Shrimp with Lemony Caper Pasta - Recipe! - Live. Love. Laugh. Food. 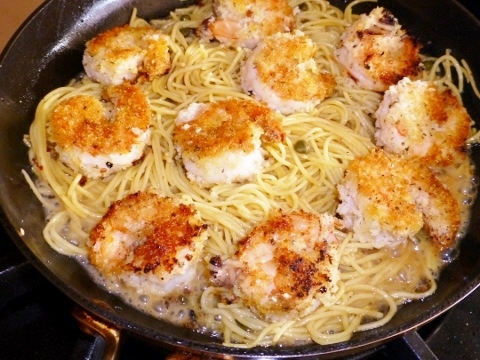 Crunchy Shrimp with Lemony Caper Pasta – Recipe! Shrimp are super quick cooking and can be transformed into the most delicious of meals. Whether fresh or frozen, it really doesn’t matter because most shrimp are frozen right on the boat. Choosing the size of shrimp is more about preference, depending upon if you like your shrimp jumbo and succulent or small and a little more firm – I think I fall somewhere in the middle. Crispy shrimp are always a nice splurge, but usually deep fried. 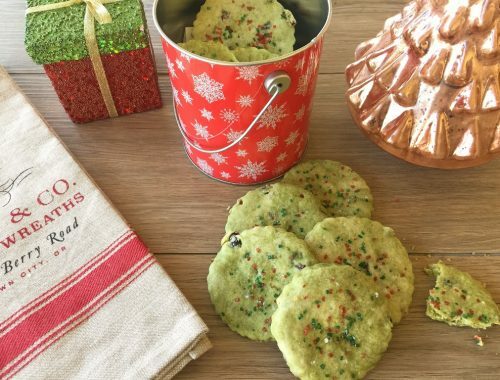 When I was a kid, on occasion, my dad would bring us a box (or most of a box) of the most lovely batter and fried shrimp for dinner. We we’re lucky if we got a few each after he consumed so many in the traffic, on his way home from work. Crunchy Shrimp with Lemony Caper Pasta remind me of those shrimp, but without the deep frying and tossed with a citrusy pasta. 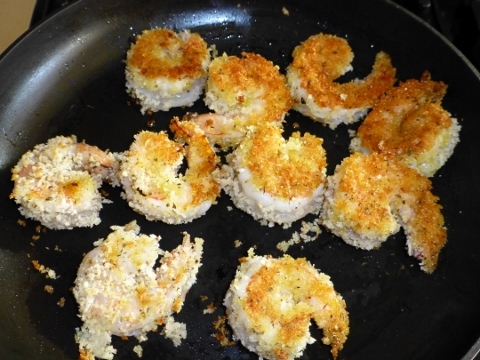 I prefer large shrimp in this recipe because the surface area is big enough to coat with panko breadcrumbs, which adds the most amazing crunch. 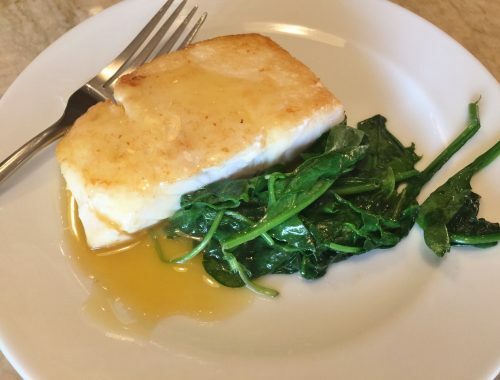 The easy lemon- caper pan sauce is a cinch to prepare and enhances both the shrimp and pasta. 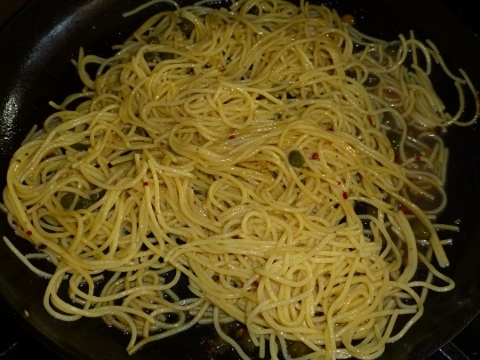 I used quinoa pasta in this recipe for an extra nutty flavor, but you can use any type of pasta you prefer. 1. Boil pasta according to package instructions and set aside. Reserve 1/2 cup of pasta water in a measuring cup for later. 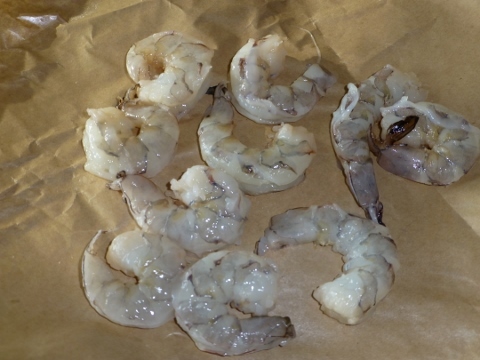 Remove shrimp from packaging, rinse and set aside. 2. Beat egg whites until mildly frothy in a bowl. 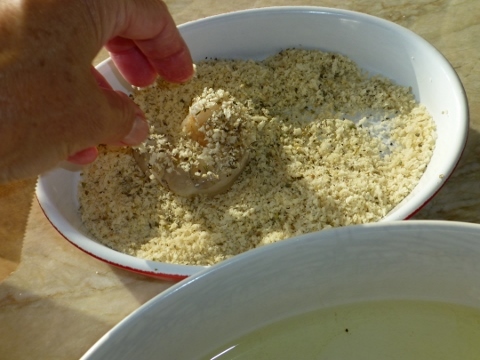 Place breadcrumbs in another bowl and season with onion powder, paprika, salt and pepper. Dip each shrimp into egg whites and then into breadcrumbs. 3. 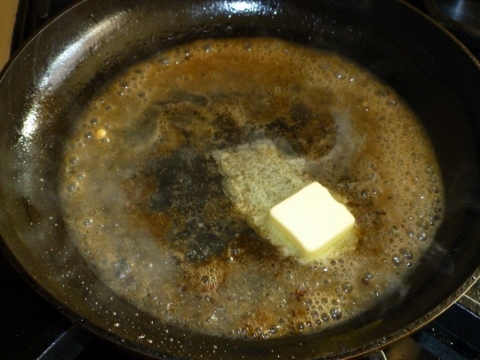 Add 1/4 cup oil to a large saute pan and place over medium heat. 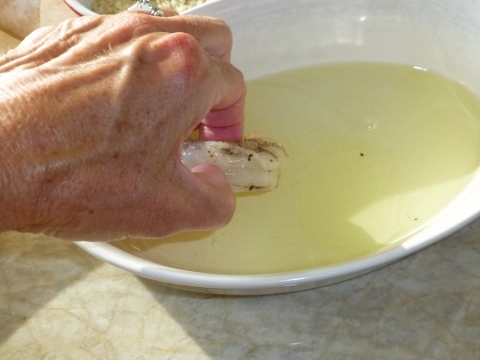 Allow a couple of minutes for oil to heat, before adding shrimp to pan. Sear shrimp for 2 minutes on each side. Remove shrimp from pan and in same pan, add 3 tablespoons butter, white wine and juice of half a lemon and continue to cook over medium heat. 4. 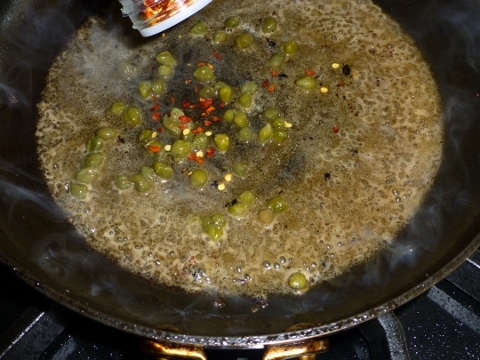 Let sauce cook for 1 minute and add capers and red pepper flakes. Stir mixture together and let sauce cook for 2 minutes. 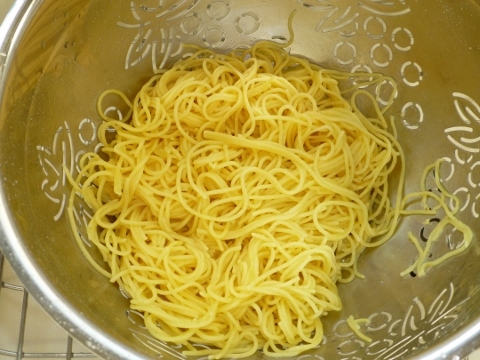 Add pasta to sauce and toss together with tongs to coat pasta. 5. Add shrimp to pasta in the pan and add 1/2 cup pasta water. 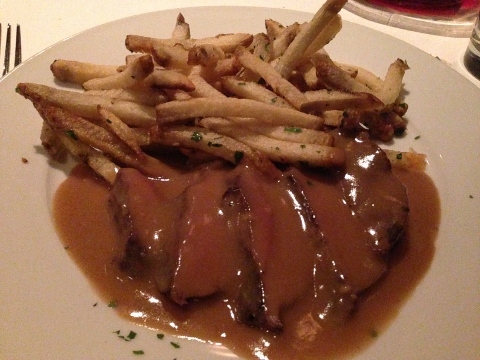 Continue cooking for 2 minutes, until sauce reduces slightly, about 3 minutes. Serve pasta with 6 shrimp per plate and top with fresh basil. Enjoy!